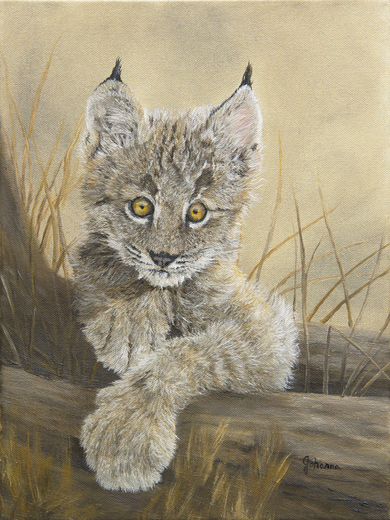 This an original oil painting of a little Canadian Lynx kitten which has been a joy to observe as one of the animals at the Animal Adventure Park in Upstate New York. He was 6 weeks old when I took the reference photos and just loved his big paws and eyes as he has a mischievous look. His name is Nash and have loved watching this little kitten grow into an adult Canadian Lynx.